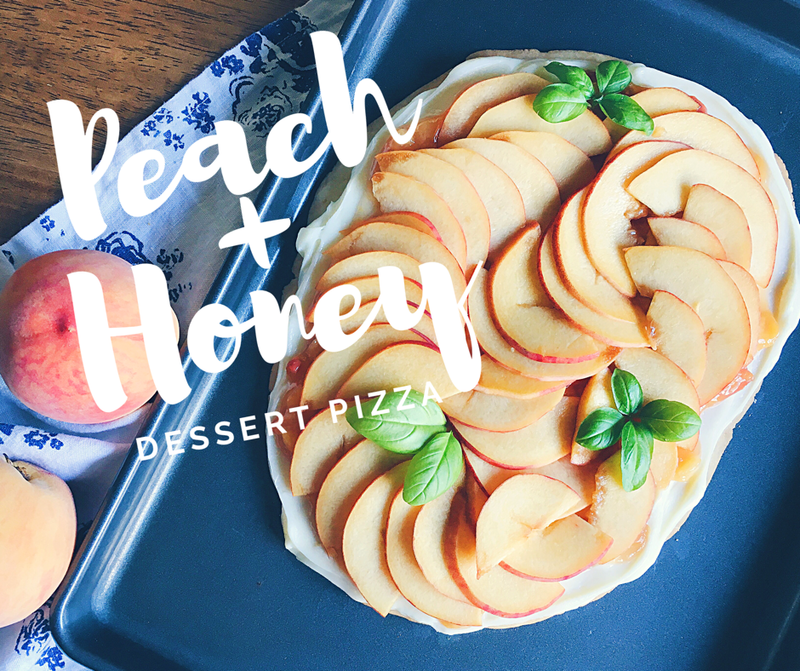 This Peach and Honey Dessert Pizza is the ideal summer dessert. It goes perfectly with a glass of wine, sitting outside and watching the sun set. 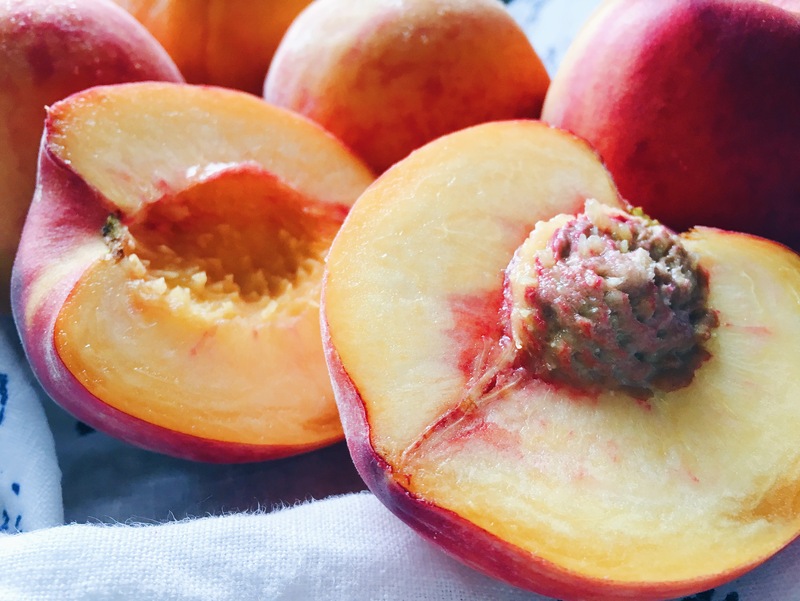 Usually I would make a strawberry pizza but the peaches at the market this time of year are so ripe and colorful I had to get a bunch and thought this would be the perfect recipe to use them in. 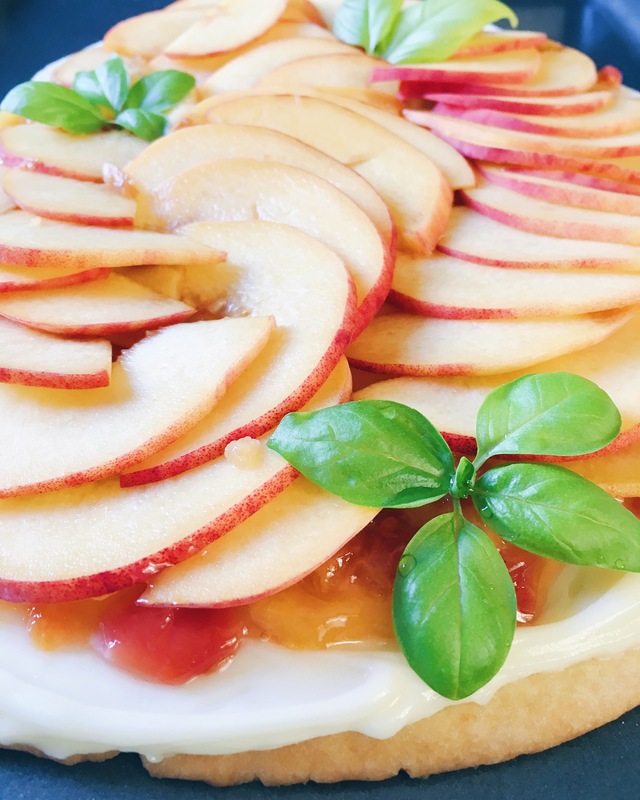 This dessert pizza has three simple components; first is the shortbread crust with an added touch of citrus from some lemon zest, next is the cream cheese filling that’s sweet and perfectly compliments the peach filling sweetened with honey and is topped off with fresh sliced peaches and basil leaves. 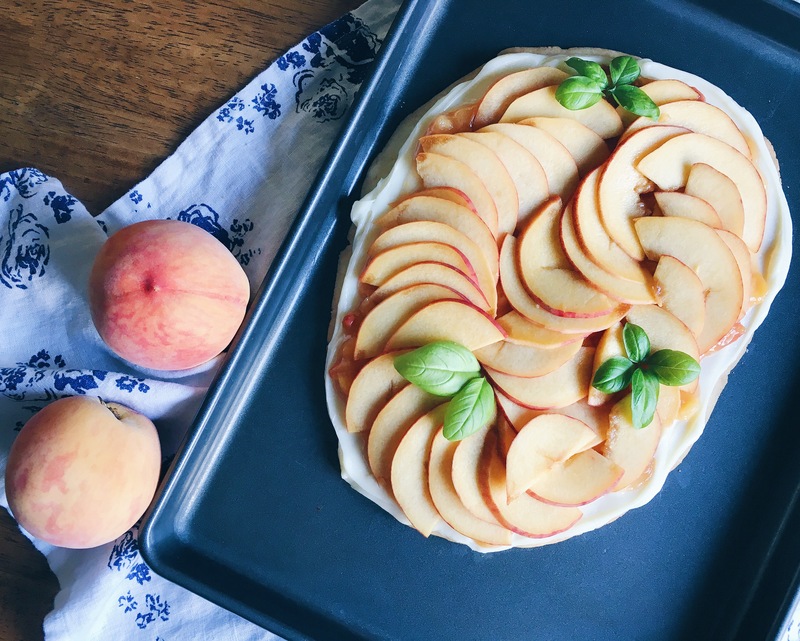 All of the layers are perfectly delicious but I am a crust girl all the way and I love this crust so much, it can even be used as a tart crust! If you give this recipe a try let me know how you like it in the comments below! 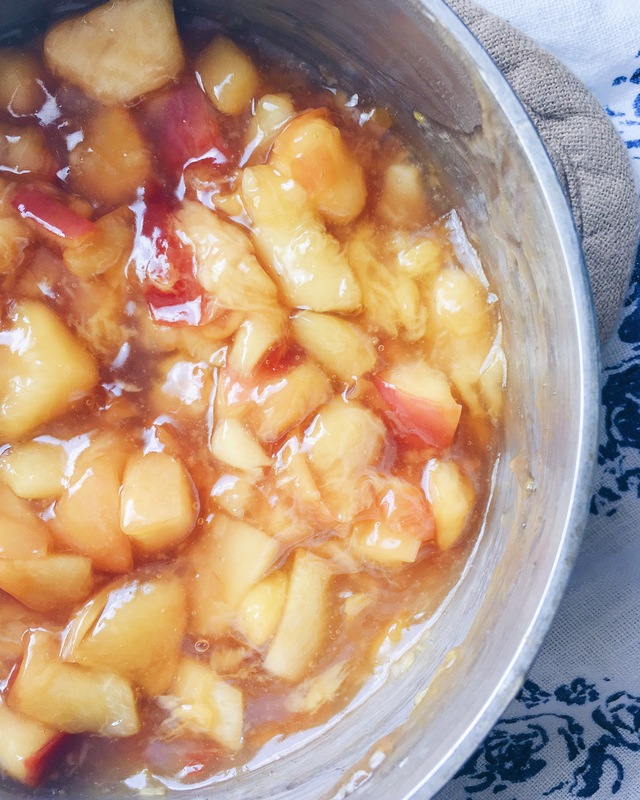 It is one of my all time favorite summer desserts with a twist. 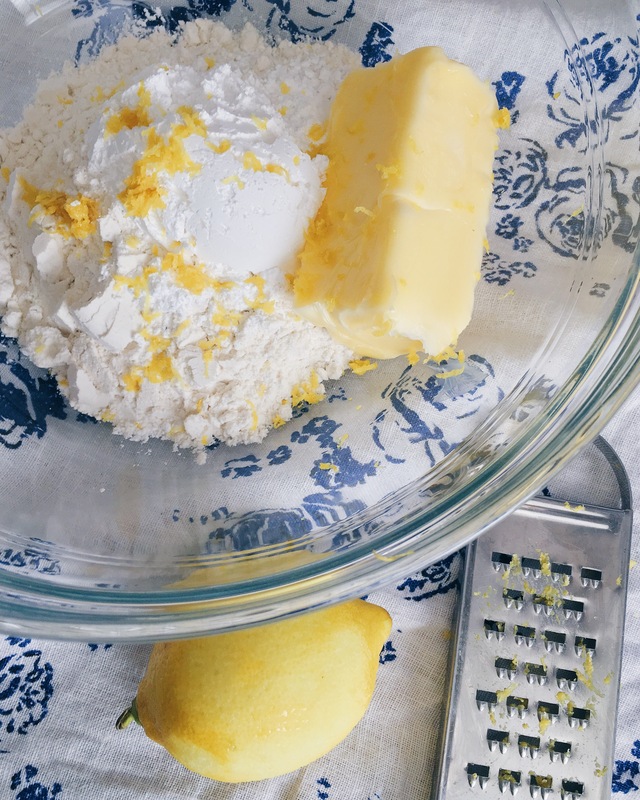 In a large bowl combine flour, powdered sugar, butter and lemon zest, using your hands to fully combine the ingredients and form into a ball. 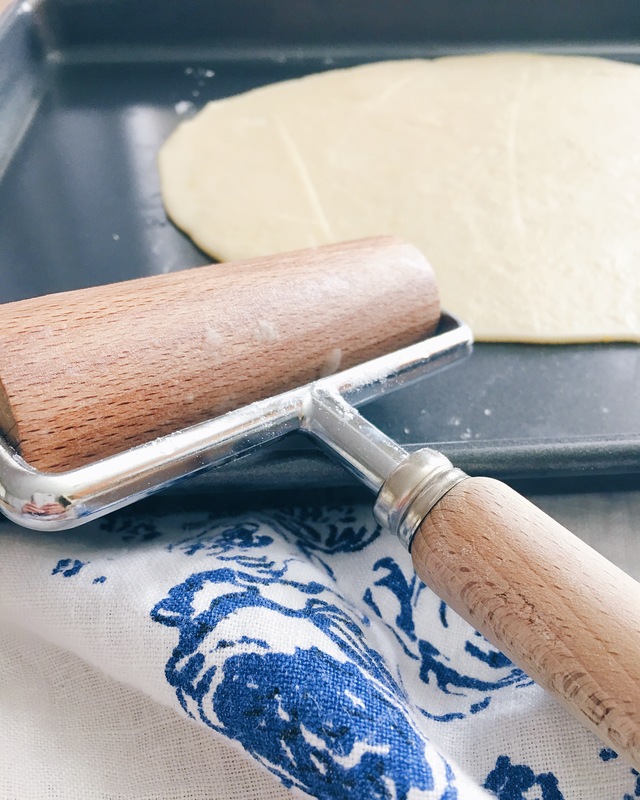 Place dough ball onto a non stick cookie sheet and roll out to about 1/8 inch thick. 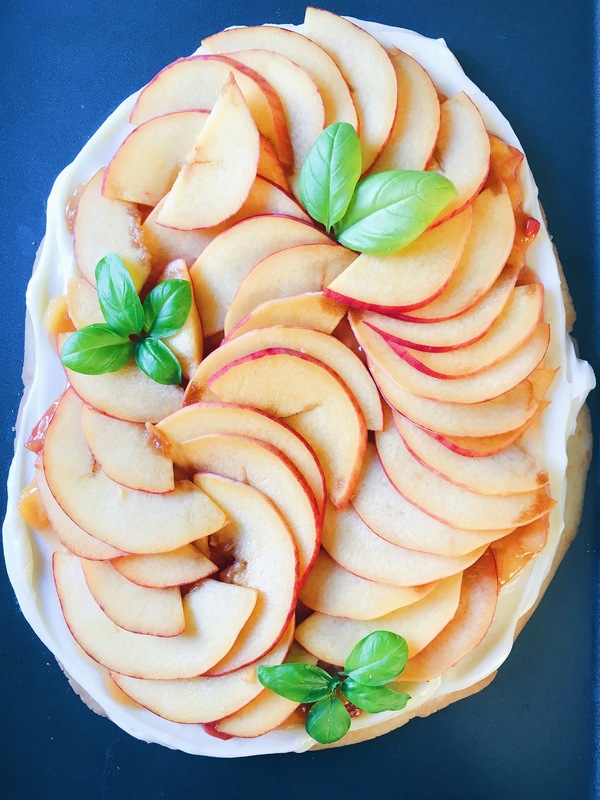 Bake the crust at 325º F for 15 minutes, or until the crust is light golden brown. Remove from oven and let cool. 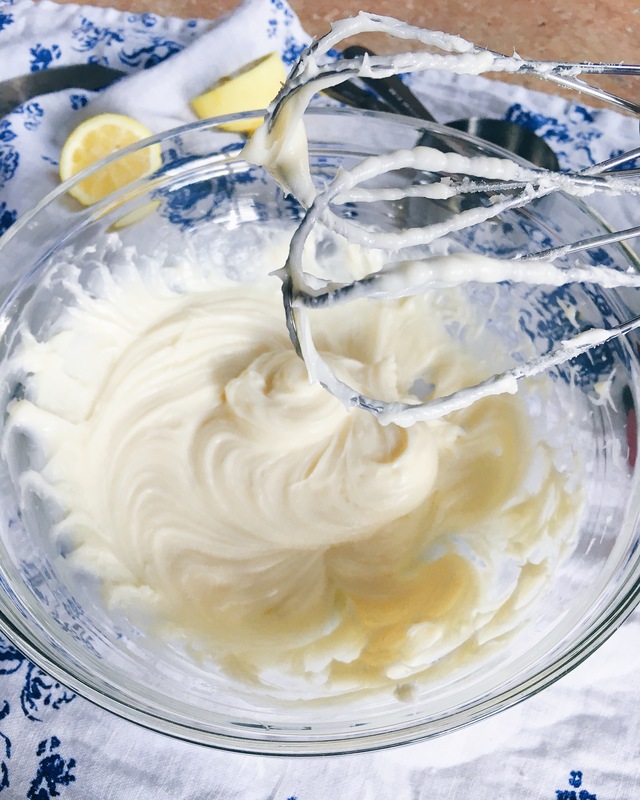 In a large bowl using a hand mixer or in a stand mixer combine the cream cheese, vanilla, sugar, honey and lemon juice. 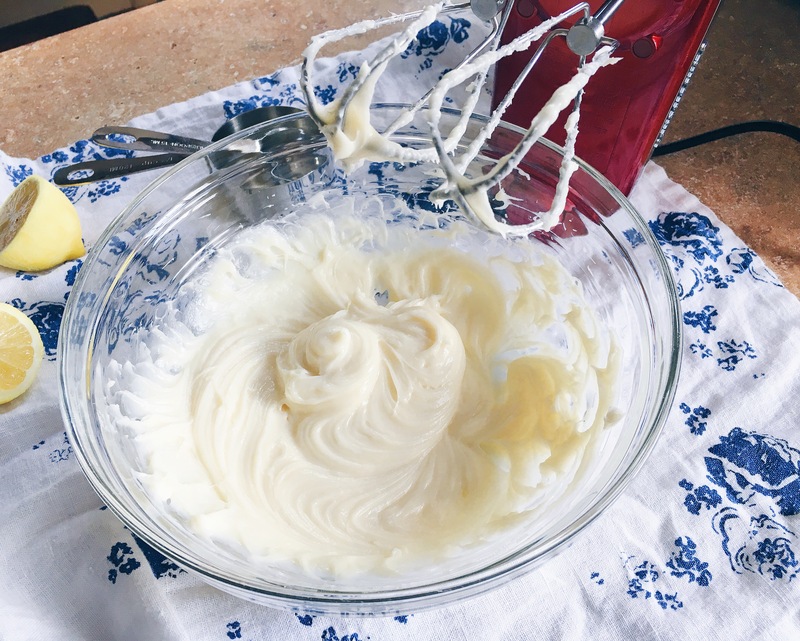 Once the crust has cooled to room temp., evenly spread the cream cheese filling on top using a rubber spatula or back of a spoon. 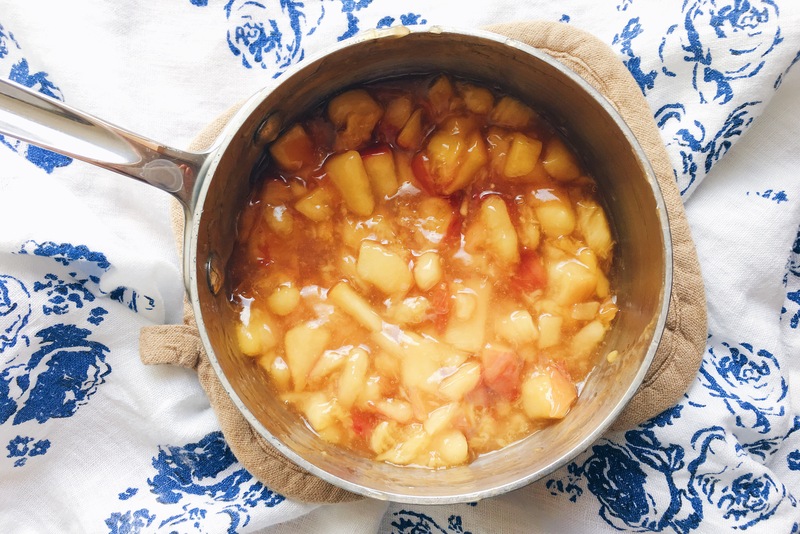 In a small saucepan over medium heat add the chopped up peach, honey, corn starch and water. Stir the mixture occasionally, letting it come to a simmer. 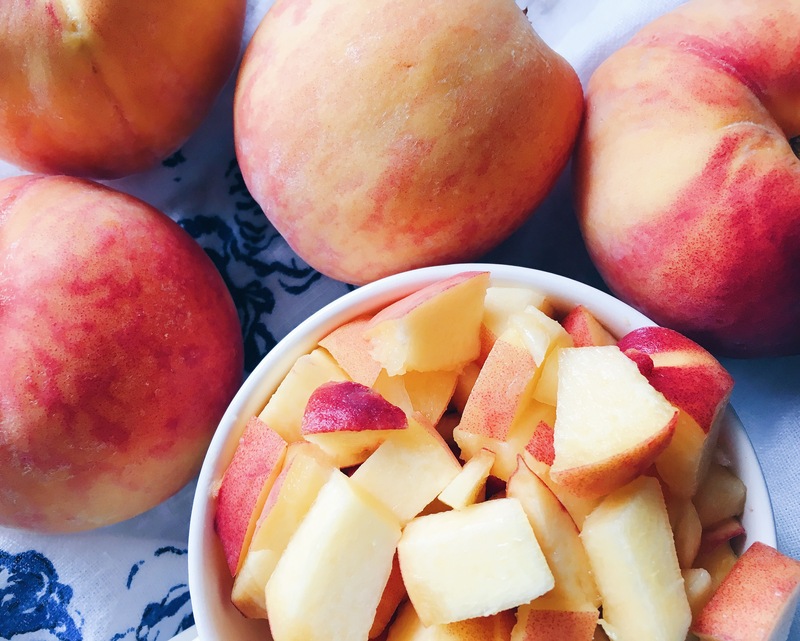 Lightly mash the peaches while they cook down. Cook until thick and glossy. Remove from heat and let cool. 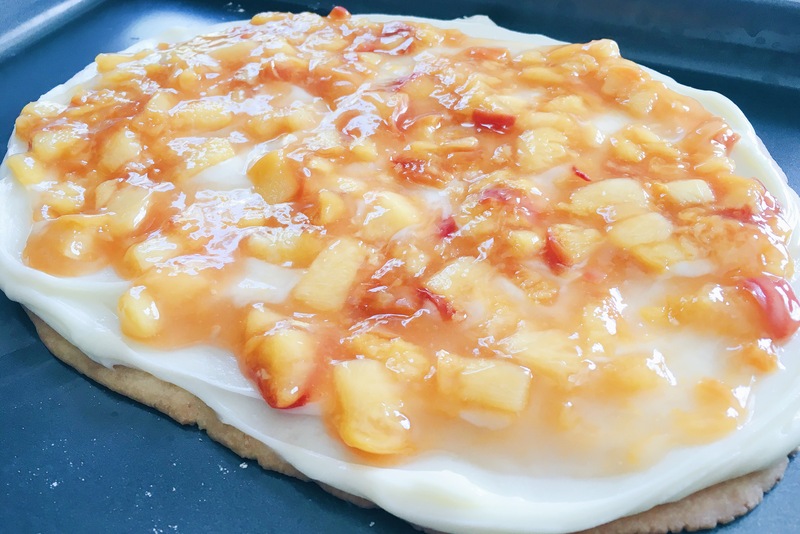 Once the peach topping has cooled, evenly spread it on top of the cream cheese filling. 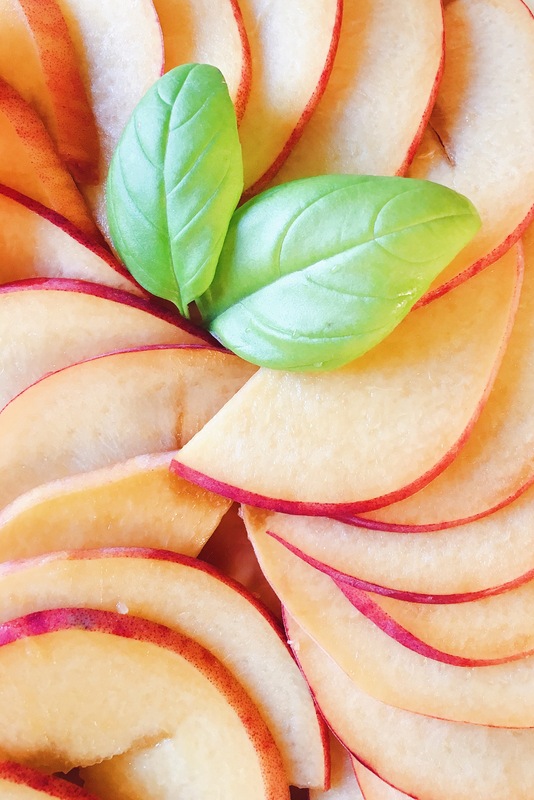 Layer the sliced peaches on top of the peach topping and garnish with fresh basil. Cover and let cool in the fridge for up to 3 hours and serve chilled or at room temp. It is best when served within a few hours of assembling. 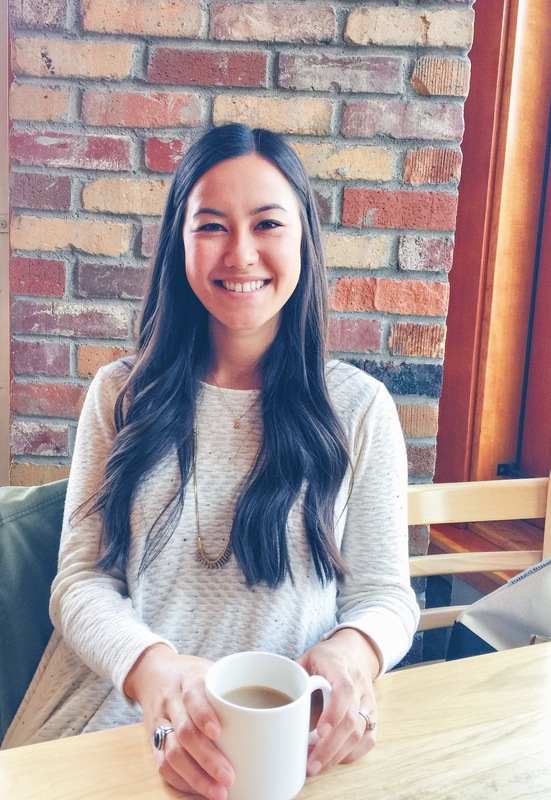 Next > Happy 1st Birthday CB EATS!